Planning Approval of the $300m expansion of SKYCITY Adelaide was recently granted, paving the way for an enduring and sophisticated icon for Adelaide. 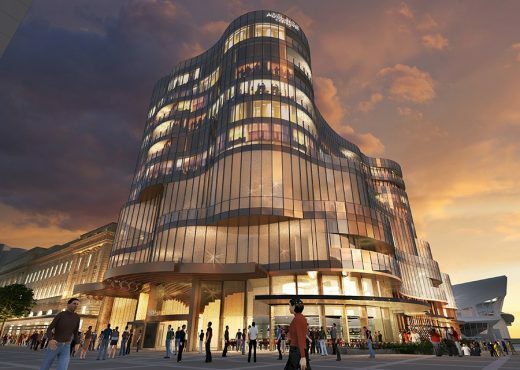 The Buchan Group is working in partnership with SKYCITY to create a truly integrated entertainment complex that will feature a luxury hotel, premium gaming spaces and additional signature restaurant options. The form takes the shape of a crystalline ‘jewel’ building that responds to the abiding design objective of delivering a bold identity statement for the newly re-designed Riverside Precinct. The new building will be presented with a coherent architectural expression of layered, wav-linear glass, referencing the nearby River Torrens. Its multi-faceted arrangement will present a shimmering luminous quality. 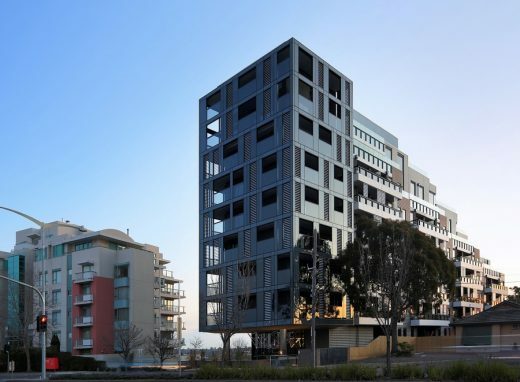 The development reinforces The Buchan Group’s excellence in large-scale commercial design, having recently delivered projects such as the expansion of The Star in Sydney, SKYCITY Darwin, and SKYCITY Adelaide’s Baccarat Pavilion. 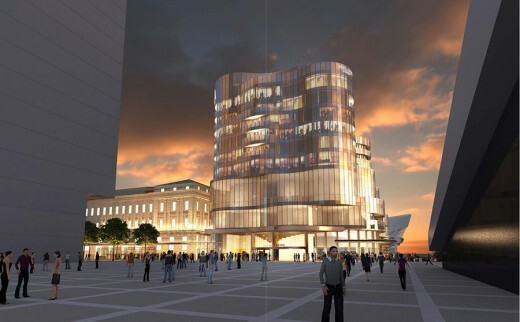 Initial construction work on the Adelaide Casino development is expected to begin in mid 2016.